My mother enjoys quilting & sewing, and through the years she made matching dresses for her 3 grandaughters and 3 nieces for Easter and Christmas, also matching pajamas for Christmas. 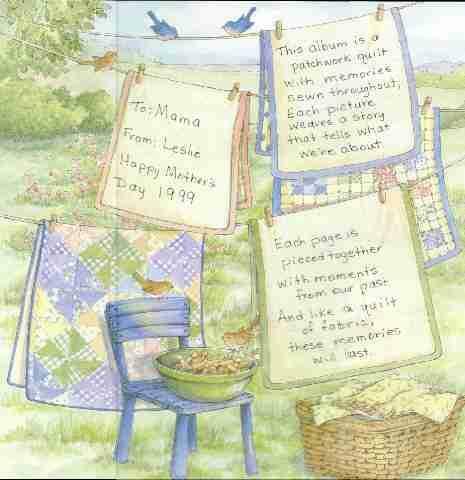 For Mother's Day I made a quilt-themed album with pictures through the years of the girls wearing clothes she made. The title page and accompanying poem indicates this will be a quilt-themed book.